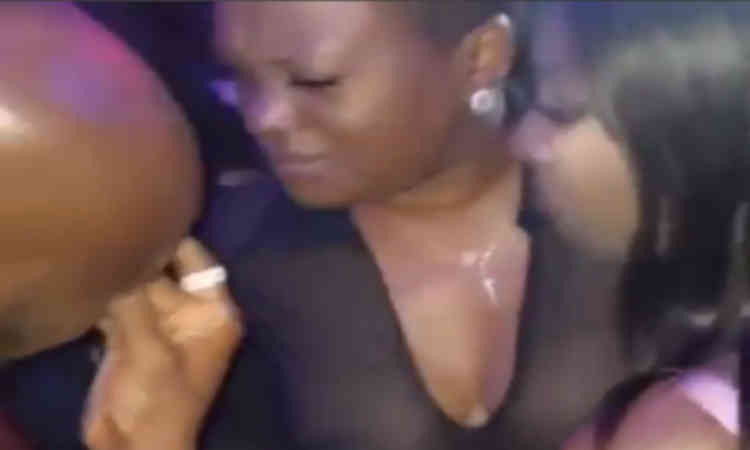 Famous musician who is regarded as a living legend, Tuface Idibia, broke down in tears as his wife (Annie Idibia) and babymama (Pero Adeniyi) reconciled after years of animosity while at an event yesterday. Annie Macaulay Idibia and 2Baba has been together ever since, but in the process, he dated Sunmbo Ajaba Adeoye and Pero Adeniyi and had kids with all three of them probably within same period. Years later, 2Baba declared Annie as his wife to be and both married. Meanwhile, apart from Pero, Annie and Sunmbo kept a cordial relationship,even with their kids. But surprisingly, Annie and Pero decided to put their differences aside at an event which they attended yesterday at Crescendo Lounge in Ikeja,Lagos State. In the viral video, both women hugged, and what sang in the background was 'one love'. All these gestures triggered Tuface to shade tears,he was unable to control his emotions as they all had a group hug. LOVELY!